Hilltop home on 17 acres with views! 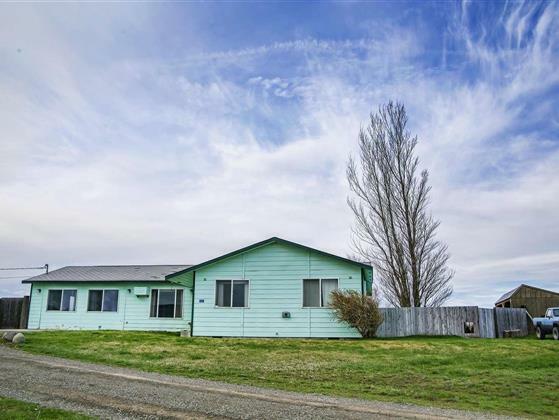 Home's been updated inside & includes large family room, open floor plan, country kitchen w/cute bar, two patio's, wind protected large back yard, berry plants, 2 sheds, container & so much more. At price, Seller to give $12,000 for new roof, siding repair & paint. Home has wonderful free standing propane stove, new holding tank, and pump in well. Wall air conditioning. Plumbed for dishwasher. Container included. Quad track out back. Super neat & tidy.